Recently, someone posted a comment on IT Impact Inc.'s blog asking how to get SharePoint to remember his password when he logged in via Access. He wanted to avoid having to log in every time. Ben Clothier, a Senior Access Developer at IT Impact, knew the answer. He wrote a detailed blog post (with plenty of screenshots) that we'd like to share with you. 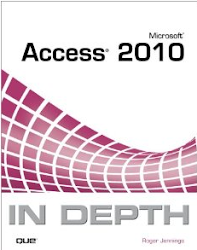 ITImpact has been building custom databases with Microsoft Access since 1994, serving customers around the world. Ben Clothier has been Microsoft Access MVP since 2009 and is also a SharePoint Technology Specialist. He has worked on business applications from survey tracking to world-wide supply control databases.